So, you’re considering a dumpster rental business. This page is for you it contains a lot of information for starting a dumpster rental business, resources have been selected from some of the tops sites online dealing with this industry. You will want to take your time and go over this page and probably bookmark it so you can return when you want to use these resources. Below is a list of specific articles I have chosen for starting a dumpster rental business, have a look I’m sure you will find a lot of the information you are looking for. 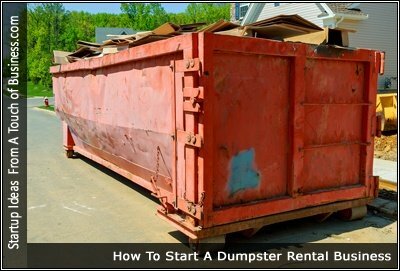 Below you’ll find a collection of articles related to renting a dumpster rental business there’s a lot of tips out there. I found these articles worth looking into, have a look for yourself.